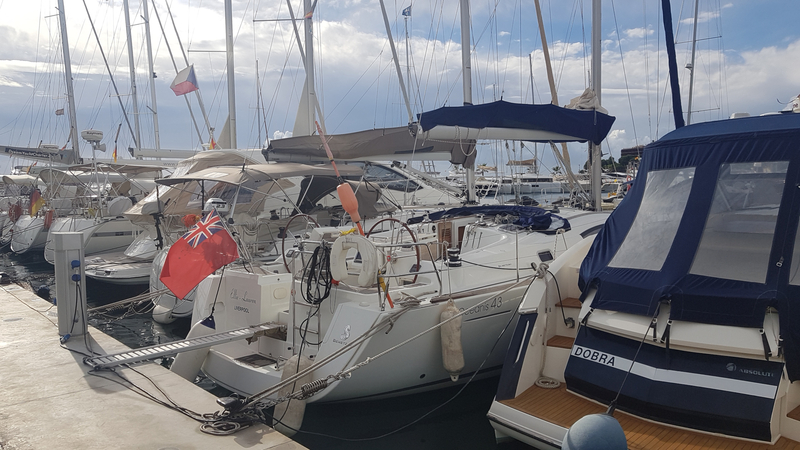 Our Beneteau Oceanis 43, ”Ellie Lauren” is based in Calanova. She has 3 double cabins with the capacity of 6 guests in addition to a skipper and a stewardess. She is a fantastic boat with a very safe and comfortable design and is perfect for ocean sailing and cruising. She is easy to use and has good maneuverability. A prestigious yacht from Beneteau that heralds a new era in the history of blue water cruising yachts, well-suited to offer you a wonderful sailing experience. Brand new to the charter market for 2019.